6 January 2014 – Chai, the spiced tea from India, has grown in popularity in Europe over a number of years. Emmi is responding to this trend by pairing Swiss milk with black tea, spices and sugar to make the new Emmi Chai Latte. 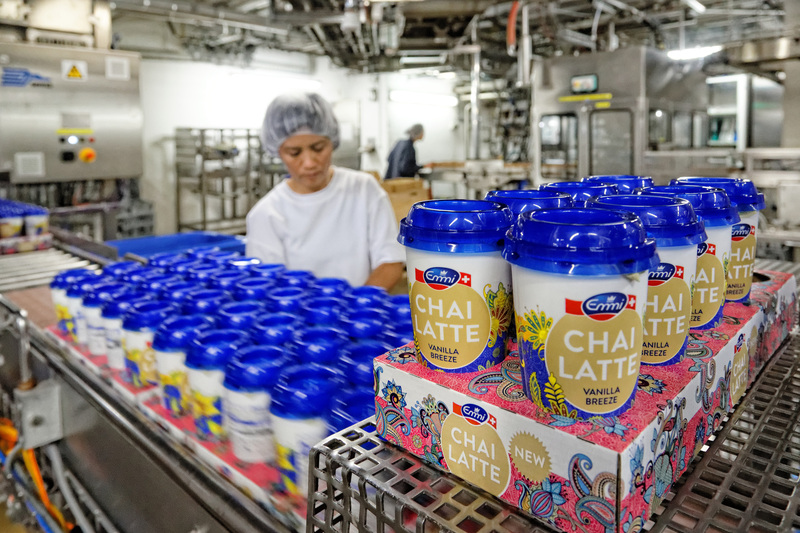 The new Emmi Chai Latte product range includes “Original Taste” and “Vanilla Breeze” and is available from mid-January in Swiss retail outlets and petrol stations and from February in Germany and Austria. Emmi sells over 100 million cups of Caffè Latte each year. Emmi is filling chiller cabinets with a potential new bestseller, Chai Latte. Masala Chai (“Chai”) is a blend of hot black tea, spices, milk and sugar. Masala denotes a particular mix of spices, while Chai means tea. In recent years, the national drink of India has also found its way into Europe, albeit mainly in coffee shops and tea houses up to now. The same stringent quality standards for coffee also apply to Emmi Chai Latte: fresh tea infusion instead of concentrate, which is commonly used in coffee shops, selected spices and Swiss milk. Specialists working in product development and in the Caffè Latte production facility in Ostermundigen spent one and a half years optimising the raw materials, recipes and preparation methods. They decided to use high-quality Ceylon black tea (from Sri Lanka), cinnamon (from Indonesia and Vietnam), cardamom (from Guatemala and Tanzania) and cloves (from India, Madagascar and Indonesia). This infusion is wedded with semi-skimmed milk (1.1°% fat), which makes up 90 per cent of the finished product. The “Vanilla Breeze” variety contains a hint of Madagascar vanilla and a milder tea infusion. In ayurveda, the spices used in Chai have a stimulating effect: according to Indian traditional medicine, cardamom improves energy and boosts vitality. Just like cinnamon and cloves, cardamom is said to have warming properties. This makes Emmi Chai Latte an oriental inspiration for everyday life that can be enjoyed at any time of year. When chilled, Emmi Chai Latte is a refreshing beverage that offers an alternative to traditional ice tea, one of the most popular drinks in Switzerland. On cold days, Emmi Chai Latte can also be enjoyed as a hot beverage. The majority of chai aficionados in Europe are young, urban women. In order to promote Emmi Chai Latte among this target group in Germany, Switzerland and Austria, Emmi will this year continue its role as official partner in the partnership with one of the most successful programmes in German-language television: “Germany’s Next Topmodel”. The ninth series will air in February on ProSieben. 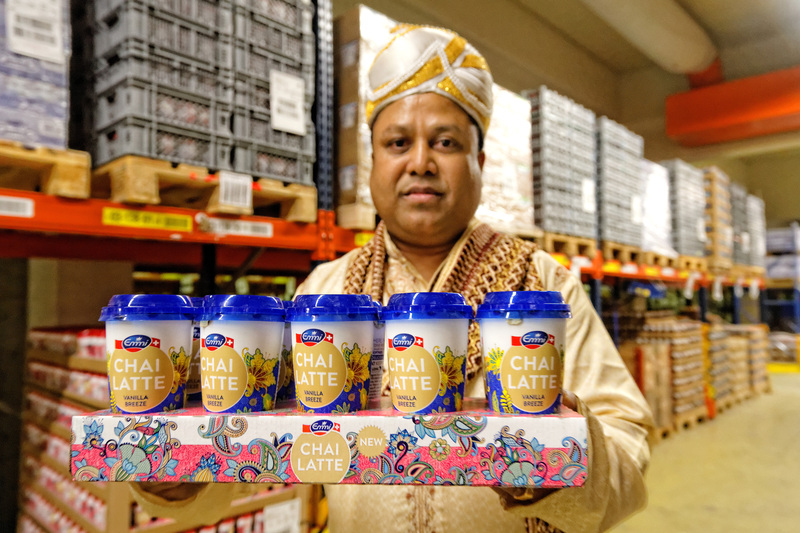 Emmi Chai Latte will be available in Swiss retail outlets from mid-January . The product should also be available in Germany and Austria from February. Emmi is the largest Swiss milk processor and one of the most innovative premium dairies in Europe. In Switzerland, the company focuses on the development, production and marketing of a full range of dairy and fresh products as well as the production, ageing and trade of primarily Swiss cheeses. Outside Switzerland, Emmi concentrates on brand concepts and specialities in European and North American markets. The primary focus in fresh products is on lifestyle, convenience and health products. In the cheese business, Emmi positions itself as the leading company worldwide for Swiss cheese. Emmi’s customers are the retail trade, the hospitality and food service sector and the food industry. In 2012, Emmi posted net sales of CHF 2,981 million and an adjusted net profit of CHF 90 million. In the first half of 2013, the company achieved net sales of CHF 1,567 million and an adjusted net profit of CHF 39 million. As at 30 June 2013, the company employed some 5,100 people (full-time equivalents) in Switzerland and abroad.